rodeasdown.com.au – The speakers are good, the instruction manual is better. Who needs instructions for speakers? I mean, how hard is it? Remove from box, attach cables, bingo. 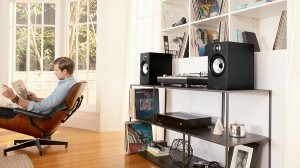 Ah, but then there’s Bowers and Wilkins. One doesn’t so much read a B&W owner’s manual as settle down with it over a cup of coffee. John Bowers and Roy Wilkins were mates in the army during the second world war and when the difficulties concluded they opened a radio shop in Worthing, a bit along from Brighton on England’s south coast. They first mucked about with speakers when they did public address work for schools and churches and the first commercial B&W speaker came along in 1967. In a country famous for producing fine speakers B&W is now something of an icon. John Bowers was a fastidious gent and although he’s been dead for three decades you can still see his attention to detail coming through. 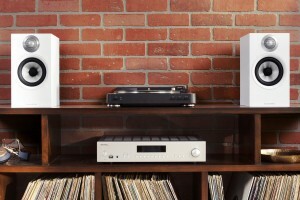 Look no further than the owner’s manual, which explains in some detail why and how to position the speakers when they back on to a wall. And if you know nothing about optional bi-amping (one amplifier for the low range drivers, another for the high) or bi-wiring (one cable for the low range, another for the high) the manual can start you down that path. It also tells you about running-in and cleaning. If the bass is too strong or unbalanced a possible solution is provided with foam plugs that can be inserted into the bass reflex port. Each pad is a donut-plus-centre and can be used either as a reduction tube or a full plug. The tweeters, the manual advises, should be at ear level and the grilles are such that you can invert the speakers to achieve this. All explained in language that even folk like me and you can understand. This stuff is common knowledge to hi fi enthusiasts but may not be to people buying their first pair of quality speakers. A lot of speaker makers don’t allow for this. They assume their buyers will understand why there are two sets of cable inputs at the rear and why there are removeable busbars joining them. They assume their buyers will know that you don’t back a rear-ported bass reflex speaker into a wall, and that you should add ballast to speaker stands (B&W suggests kiln-dried sand). These are pretty brave assumptions when you want the speakers you’ve just made to sound their best. The $1149-per-pair 606s are among the most popular speakers B&W makes, and this latest incarnation gets various enhancements including new cone material that better highlights mid-range. And these do a great job with mids and highs while bass complements rather than dominates. Until you turn up the volume anyway. The 606s do a great job with well recorded CDs and high quality downloads, but stream MP3 or SBC Bluetooth from your phone and they don’t react well. The audible difference between low and high quality streaming has never been more obvious. The late Johann Johannsson was a stickler for quality and he would have liked these. You sense every bit of timber in his concert grand through ‘Flight from the City’, a dreamy piano riff that keeps repeating, and the decay of that final note goes on forever. It can be hard to judge when the violin comes in amid the odd background noises with lesser speakers but here it’s clear. Three tracks later cellist Hildur Gudnadottir plays ‘A Deal with Chaos’ and there’s all that wood again. Your spine shivers. Entirely acceptable performance for the money, and reasonably compact too.